We purchase a half of beef regularly and my freezer is overflowing with beef roasts! Besides different seasonings on my roast beef cooked in an instant pot, slow cooker or in the oven, what else can I do with these? I have chuck roasts, arm roasts etc. I'm tired of roast beef. I never make roast beef, per se, but use some of the tougher roasts cut up for chili, curries, and other stew type dishes. The tender ones (which I rarely buy, given the prices!) can be sliced, and used in stir fries , or cut into steaks and the like. Then, there is grinding, for those tougher, cheaper cuts, if you use much ground beef. What types of roasts do you have? What types of foods do you like to cook? The first thing that came to my mind was beef brasciole. Slice a roast into chunks with the grain and fat intact, then pound thin like a scallopini (which also tenderizes). 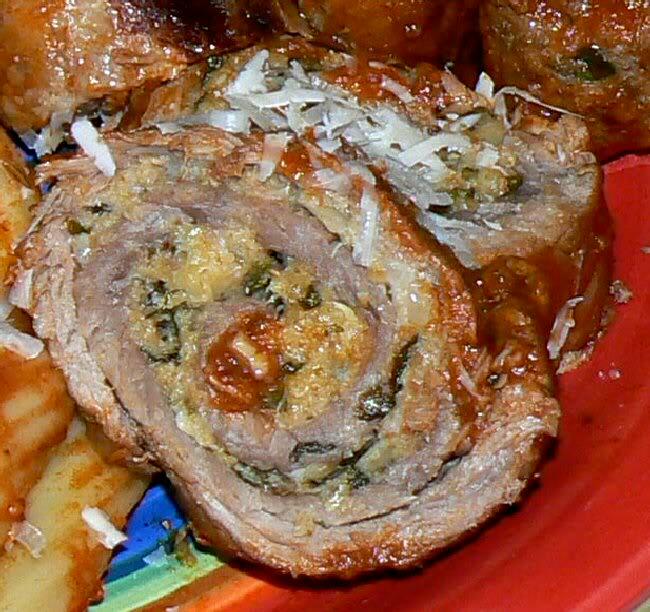 Put grated romano cheese and Italian type herbs on one side of the meat, roll and tuck in ends, then tie. 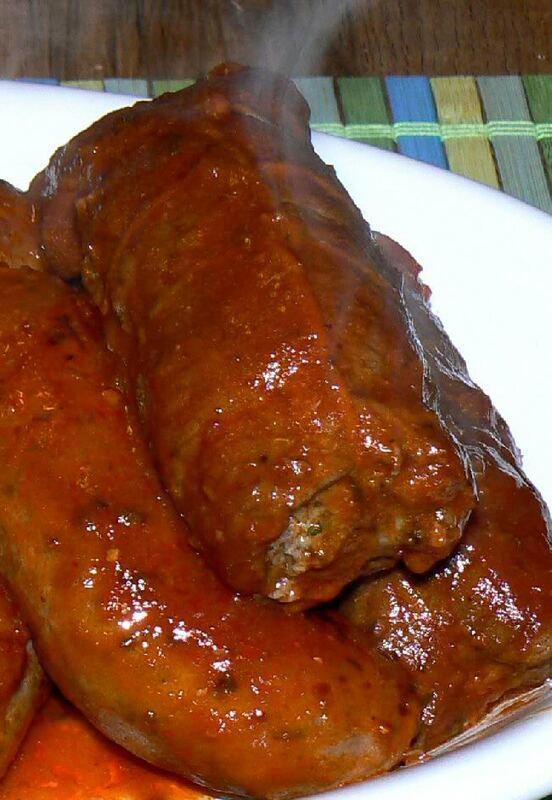 Brown the meat well, then baise in your favorite tomato sauce. Chuck roast is great for chili. Do you have a rotisserie for an outdoor grill or a smoker? Season chuck roast with salt and pepper. Heat a Dutch oven over high heat. Add in 2 Tbs olive oil. Sear roast on all sides. Once seared, remove pot from heat and set aside. In a blender, add in guajillo peppers, ancho peppers, chipotle, garlic, cider vinegar, brown sugar, salt, oregano, cinnamon, remaining 2 Tbs olive oil, and water. Blend until smooth, adding more water if necessary to thin it out enough to blend. Simmer the Ranch beans in a small saucepan over low heat, stirring occasionally. Melt ½ Tbs butter in a large nonstick skillet over medium heat. Place 1 tortilla in pan, and cook for 30 seconds on each side or until toasted. Repeat procedure with ½ Tbs butter and each tortilla. In the same non-stick skillet, cook the eggs to your preference; sunny side up, over easy, basted, scrambled, etc. Add salt and pepper to taste. Place a tortilla on each of 4 plates. Divide the Ranch beans evenly amongst the tortillas on each plate. Add one egg and ¼ cup of the Beef Barbacoa on top of the beans. Top each serving with salsa and queso fresco. Garnish each serving with scallions and fresh cilantro. Serve with a lime wedge. Love those barbacoa recipes, Sirloin! But then, I've always had a soft spot for Mexican. And I'd probably use more peppers, using dried chipotles or moritas, instead of the single canned pepper. I swear that there is a dog's face in the end of that roast staring out at us. He wants OUT! Now that you have pointed it out, I see it too.